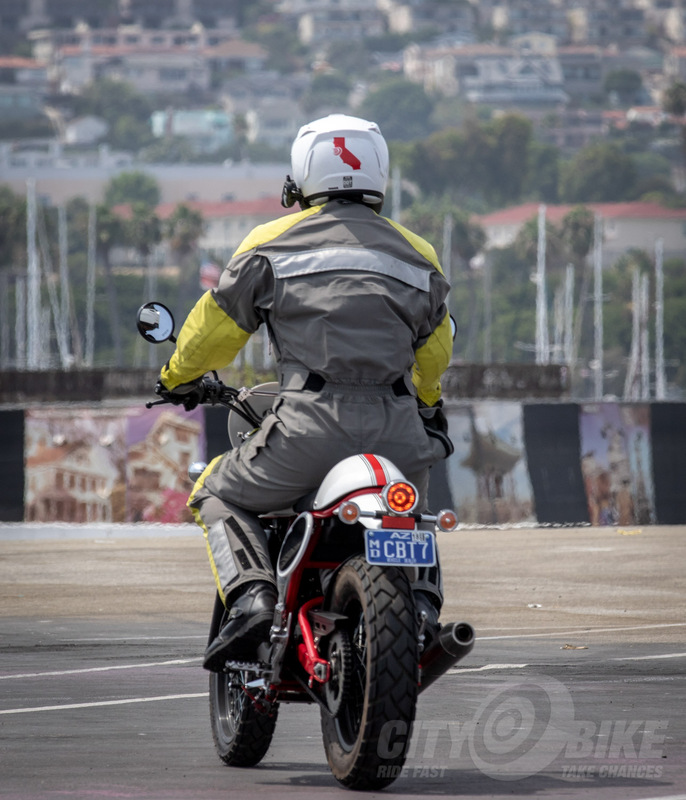 I was initially skeptical about real-sized motorcycles from SSR. Until recently, I only knew of the company’s pit bikes, and didn’t actually know anyone who owned one. 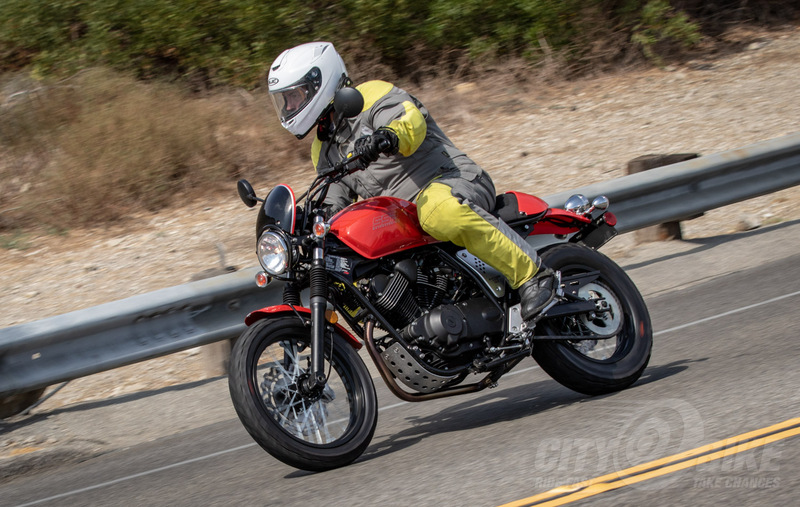 That was before I tore up my favorite twisties and townscapes on the (distributed by SSR) Benelli TNT135, which performed much better than its price tag suggested it would. 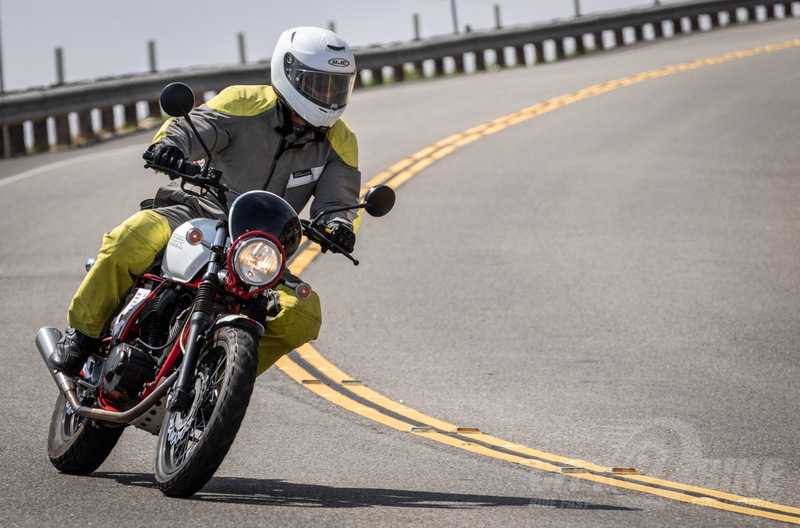 Riding the 135 convinced me to open my mind and enjoy the more “real motorcycle”-sized Benelli TNT300 (review coming soon). 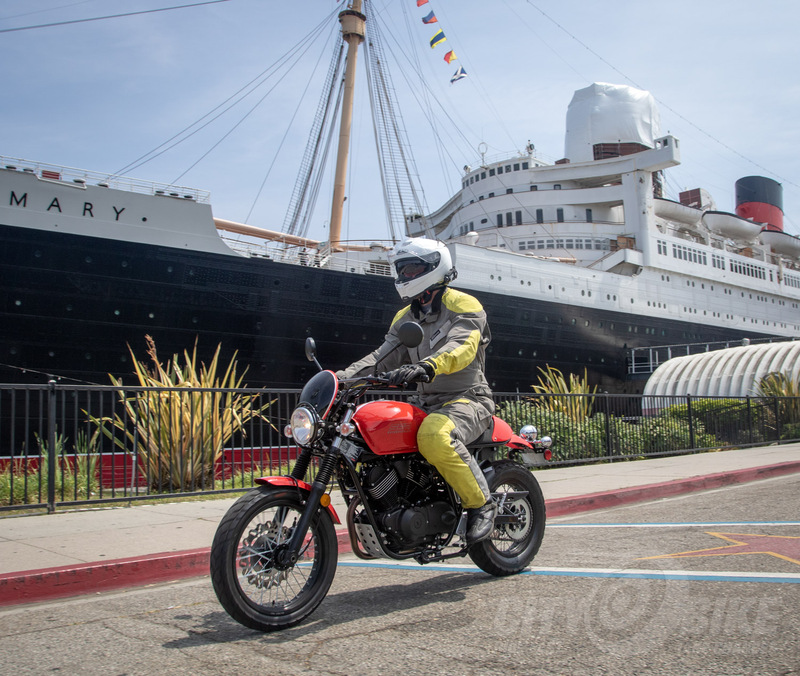 No spoilers, but it was Benelli’s 300 that got me excited about attending the press launch for SSR’s Buccaneer Classic and its co-pirate, the Buccaneer Cafe. SSR’s goal was to create what they describe as a “back to basics” retro motorcycle and experience. 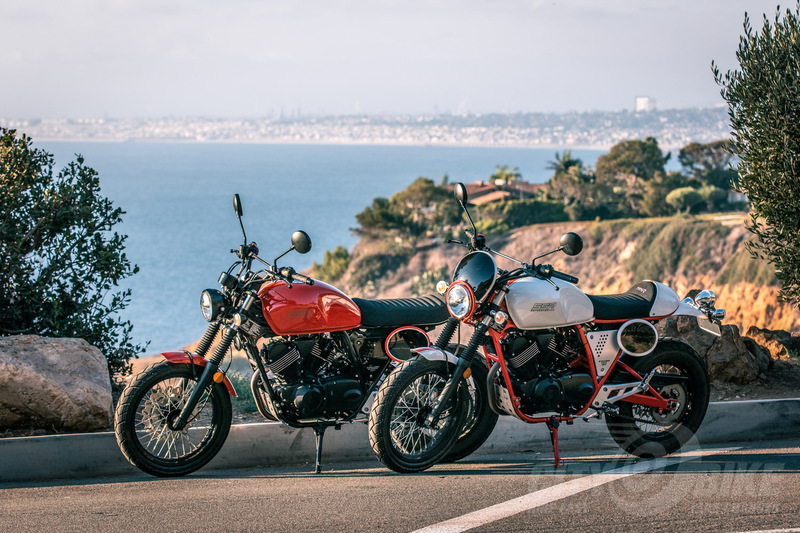 Aesthetically speaking, the two Buccaneers radiate a Seventies vibe, with an Italian flavor—think old Guzzi, but with the motor installed the right way in the frame (or wrong way, if you’re a Guzzi nut). The number plate side covers are classic cool, as are the appropriately round single headlight, taillight, turn signals, and lollipop mirrors on both machines. The 17” front and 15” rear wheels (also round) are properly spoked and come shod with what SSR calls “off road-capable” tires, though they fall short of real dual-sport rubber. The aluminum skid plate, which is not round, encourages dirty shortcuts, even if both Buccaneers lack a matching “scrambler” high pipe. The Cafe further enhances the retro theme with a front number plate / fly screen combo mounted on a funky, tubular carrier color-matched to the frame, and a solo seat with removable cowl in the same color as the tank. There’s just enough chrome on both bikes to emphasize the classic aesthetics without getting into typical American V-Twin excess. “The SSR Buccaneer started life as an Italjet Buccaneer. The name comes from the Italjet Buccaneer 125, a two-stroke, parallel twin with a five-speed (engine sourced from Yamaha) that was first sold in 1972 and won the Italian Junior Championship in ‘73, ‘74, and 75. The engine has been around a while, debuting in Yamaha’s Virago in 1981. It’s a “vintage” design, now fuel-injected, a 249cc 60-degree air-cooled V-twin that makes its peak 18.1 horsepower 1,000 revolutions shy of its 9,000 rpm redline. That little band of ponies finds it way to the rear wheel by way of a five-speed gearbox that shifts more dependably than some bikes costing twice the price of the Buc. Clutchless upshifts required minimal effort, even the oft-precarious 1-2 shift. While 18 horses is almost laughable compared to what many modern bikes produce, you need to remember that the Buccaneer weighs in at just 283 pounds, not much more than the average Tampa Bay Buccaneers linebacker, depending on what they had for lunch. The Buccaneer motorcycles I rode had no issues hauling me down the freeway at 75 MPH, and I don’t think any football player can say that. Power was delivered with a vigor that I was not expecting from a budget two-fiddy, with the motor really shining between six and eight thousand rpm. The exhaust note was equally exciting: just loud enough to make kids on the side of the road smile, not loud enough to make their parents give me the stink eye. The highest speed I saw on the display was 83 MPH. It did take some distance to get there, and I was looking for a non-existent sixth gear starting at about 65. 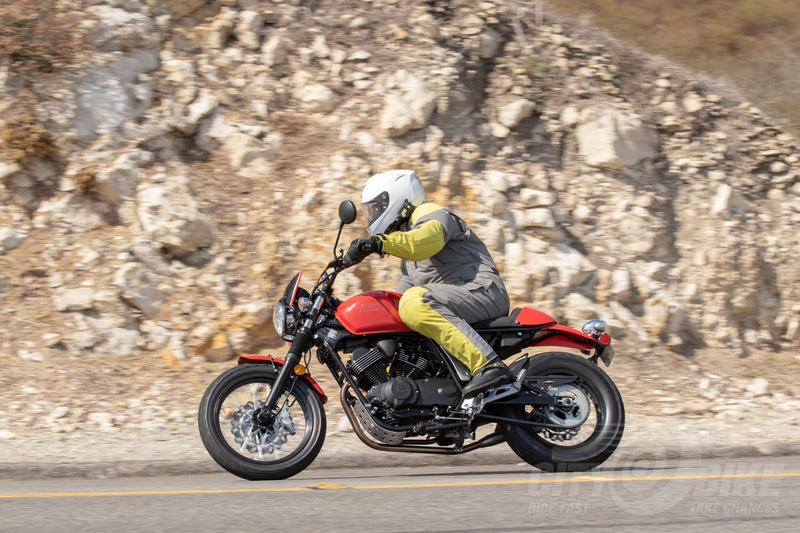 Extended high-speed runs reminded me I was on a small twin in other ways: the bars were buzzy enough that objects in the mirror seemed to have been painted by Picasso, and I was still feeling those vibes in my hands an hour after I stopped riding. Despite the classic styling and heritage, the brakes are far from retro. Up front, a single 278mm wave rotor is squeezed by a four-piston caliper; out back a 240mm disc is clamped by a single pot when it’s time to drop anchor. Steel braided lines—an impressive feature on a bike in this price range—ensure that each pull of the lever is consistent. I felt zero fade on the day’s ride. Also on the modern side of things is a digital display showing gear position, fuel, and miles per hour, situated below an easy-to-read analog tach. The speedo is a little lazy, however: it showed me doing four MPH for about three seconds after I’d come to a complete stop. The Buccaneer sports 37mm conventional fork tubes and a single shock with adjustable preload. The bike felt more than capable of railing high speed corners on the street, but I didn’t really push my luck with copious amounts of lean angle either. Turn-in was predictable and thanks to the bike’s light weight, I had to consciously focus on not turning in too early. Don’t get me wrong: it doesn’t handle like a sportbike, but it’s no cruiser either—not super stiff and not overly plush. 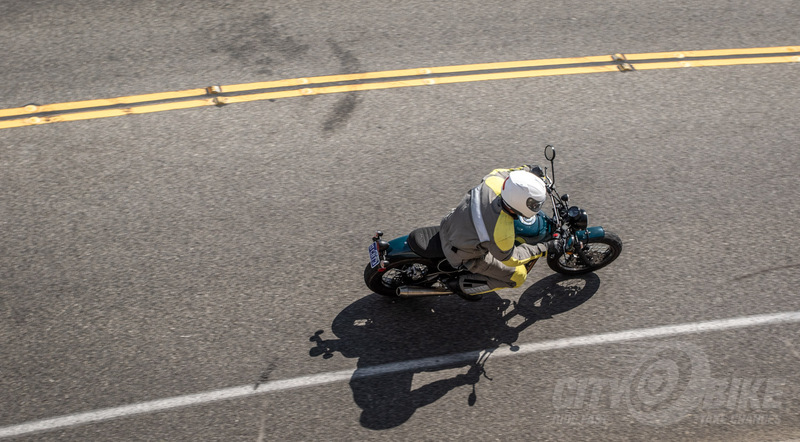 When I remembered I was riding a $3,500 motorcycle, I was inclined to be more understanding about the bike’s undersprung nature. The suspension on one of the Cafes I rode was more bouncy than the other, which might have had something to do with the difference in build dates—it felt like the fork oil was lighter, something I would probably have adjusted for my weight anyway. I also observed some other fit and finish issues. I rode three different Buccaneers, and the switchgear felt different on each. For example, the turn signal switch stuck out about a quarter-inch further on one of the machines, but the starter button was more sunken in on another. The kickstand tab on the first bike I rode was bent up just far enough that I hit my foot on it when upshifting enthusiastically. The friction zone on the clutch was farther out than I would like, but it was manageable and I quickly got used to it. For motorcycles in this price range, niggling issues like those above seem to come with the territory. Hell, in talking to my friends that have purchased Teslas, it seems that fit and finish can vary widely on top dollar vehicles as well. On the other hand, Japanese OEMs seem to deliver consistent fit and finish on just slightly more expensive motorcycles in the $4,000 to $6,000 range. 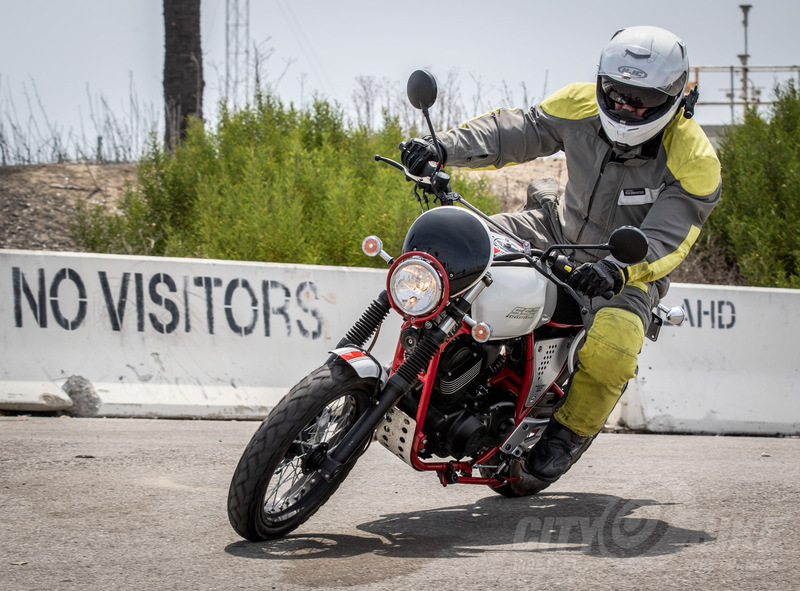 SSR hopes to put potential buyers at ease by offering a 12-month, 12,000 mile warranty on both the $3,499 Classic and the $3,599 Cafe. For another $744, you can bump your coverage by another four years. Another concern that comes with lesser-known brands is parts availability, but after touring the SSR facility I wouldn’t worry much about that—they stock thousands of parts in southern California. The company currently has over 250 dealers in the US, and is looking to be well over 300 next year, so finding someone to order parts and honor that warranty should be smooth sailing. SSR knows that the Buccaneer is not the biggest, baddest mama jama to ever sail the seven seas, and they don’t pretend otherwise. 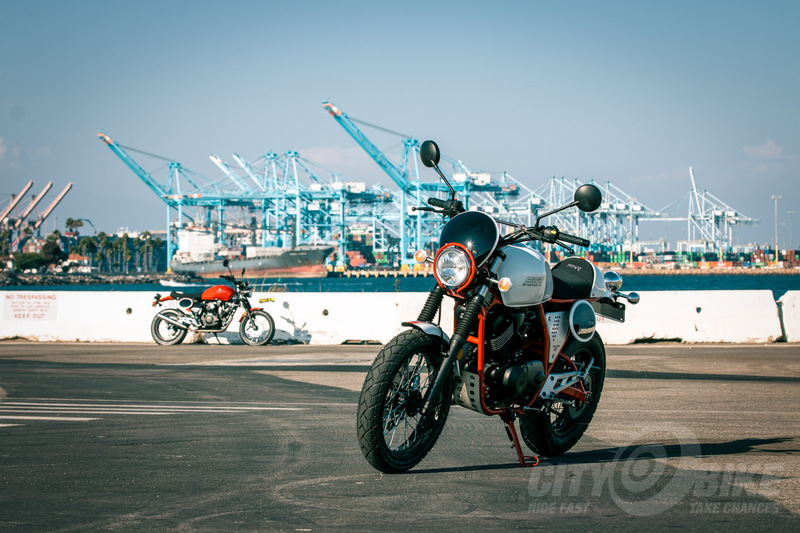 But they’re hoping that its simplicity and classic styling strike a chord with both the hipster crowd—as an accessory that is more reliable and affordable than a 40-year old cafe bike—and older generations that wax nostalgic over the same 40-year old cafe bikes. I’m not in either of those demographics, but I still had fun on on the Buccaneers. 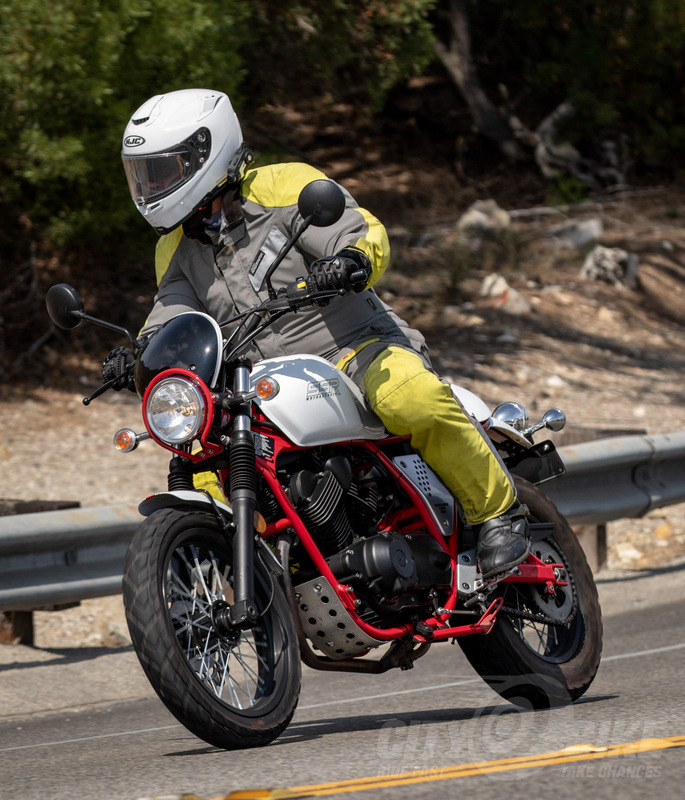 Both the Classic and Cafe are lightweight, inexpensive, and easy to ride machines that offer with plenty of smiles, and isn’t that what motorcycles are all about? Stay tuned for a full CityBike-style test of the Buccaneer here in the Bay Area.